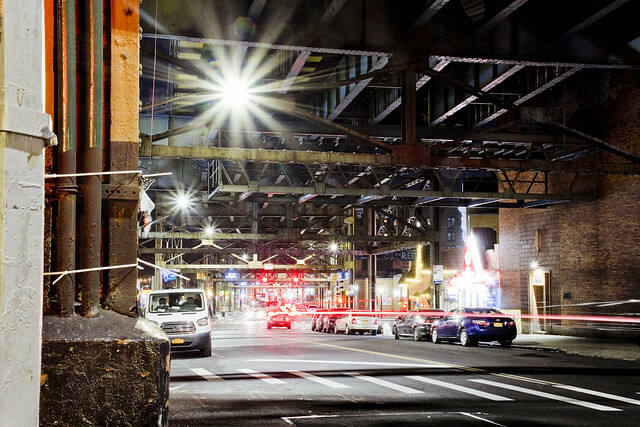 Throughout 2018, particularly from the end of the summer through the autumn and all the way into December, a nighttime photographic survey of Newtown Creek and its surrounding neighborhoods was undertaken. As regular readers of this – your Newtown Pentacle – will tell you, every nook and cranny around the waterway saw me show up in the dead of night and set up the tripod. 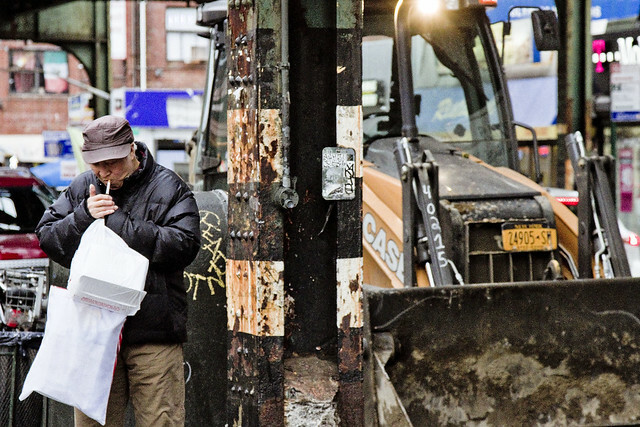 Because of this effort, I’m trying to take a Newtown Creek break and shoot other things for a bit. Sometime in the next couple of weeks I need to go shoot another progress report on the K Bridge project, but I’ll do that when I feel like it and have some time to kill. Right now, I’m really interested in the 7 train corridor. Coincidentally, since the aforementioned corridor has a de facto roof on it provided by the elevated tracks of the IRT Flushing Line, it’s a bit less “chilly” than it is hanging around the waterfront in January. 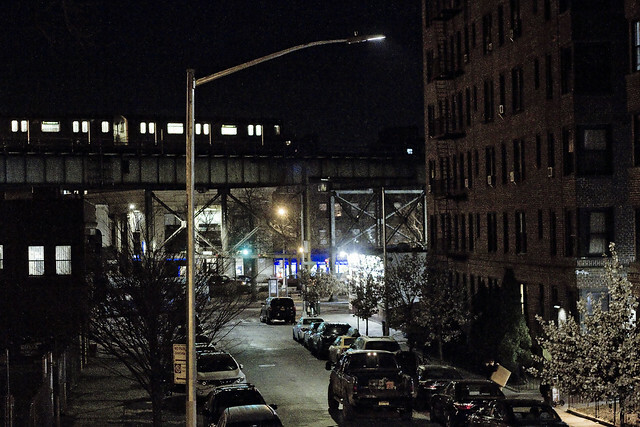 I’ve always wondered about what it’s like living near the Woodside stop on the 7, where there’s both an elevated 7 line stop and a Long Island Rail Road station. Noisy, I’d imagine. Luckily for the folks that live here, it’s also on a primary approach to LaGuardia Airport which is found to the north. The folks that live on the block pictured above actually have an awesome Irish Bar on their corner, Saints and Sinners, so they can at least find solace or succor deep in their cups if the noise is keeping them awake at night. 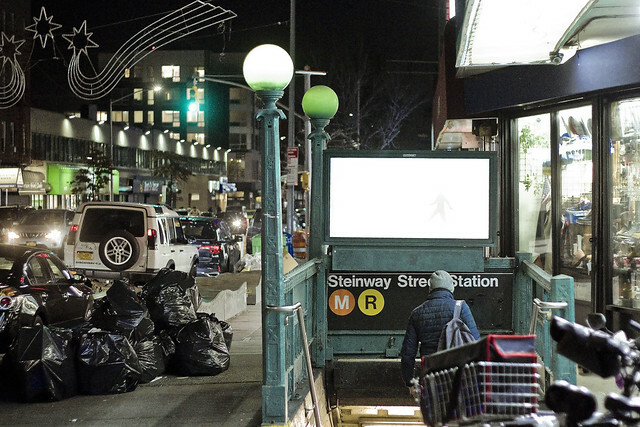 HQ back in Astoria sits atop a subway tunnel, the IND Broadway Local or R line. I barely even notice the vibrations anymore. You don’t hear anything, other than minor rattling emanating from the cupboards. It’s best to just ignore the rattling, or any of the sounds which come from deep inside the walls, at Casa Mitch. 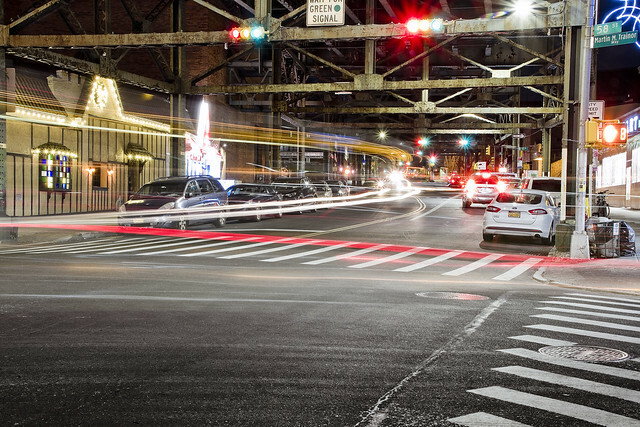 58th street, which at Roosevelt Avenue is just a few blocks from the dead bang geographic center of NYC at Queens Blvd. 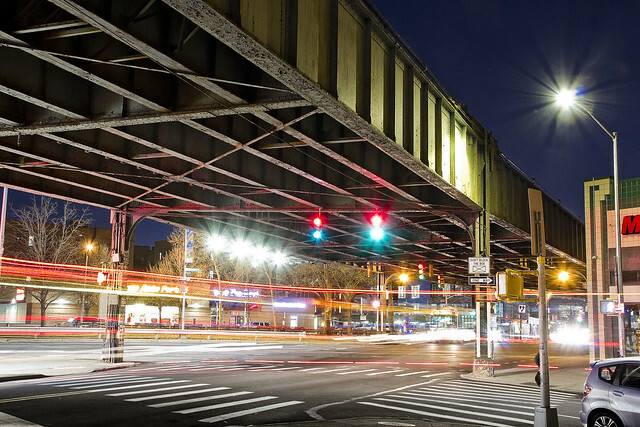 and 58th, is where I decided to start deploying the tripod and other long exposure gear to try and capture the amazing amount of light kicking around in the steel rafters after dark. During the day, it’s just a mass of hard shadows up there, and a fairly difficult place to get the right exposure due to the bright shafts of sunlight peeking through the steel. There aren’t a lot of middle tones, essentially, to meter against in such a contrasty environment. Multiple layers of insulating clothing were draped off of the slowly rotting corpse which houses a humble narrator, just the other night, and out into the freezing temperatures did I go. As mentioned countless times in the past, one has a particular vulnerability to cold weather, which is at odds with and forms a comorbidity revolving about my aversion to boredom. 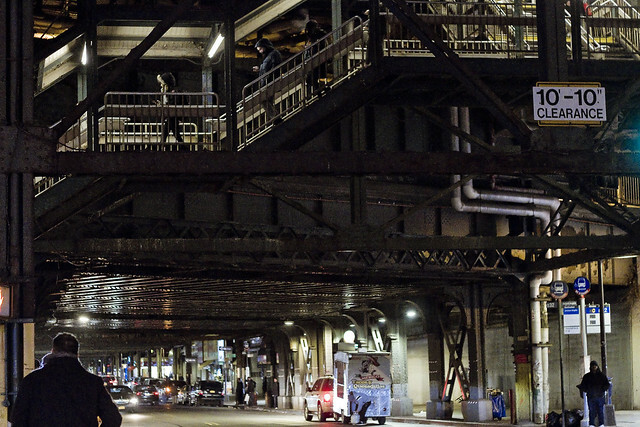 Accordingly, my plan was to avoid the waterfront this particular evening and spend my time inhabiting the steel shadowed corridor of Roosevelt Avenue and limit my evening constitutional to just over two hours spent in the cold. Ever a stickler for grammatically annoying others, the different meanings of a strategy versus a tactic is something which drives me mad. While browsing a military surplus website, one came upon an offering for two items – a tactical briefcase and a tactical pen. The briefcase was merely a fairly ugly bag constructed from the sort of fabrics commonly found in military items like rucksacks, and the pen was designed and constructed in a manner where it could double as a stabbing weapon. What sort of tactic either of these items represented is beyond me. A strategy is an overarching plan formulated to achieve a goal – “I shall conquer France, using my portfolio of mad scientist inventions, along multiple fronts in pursuance of causing their Government to collapse while stretching the capabilities of their military out.” A tactic is – “The race of Atomic Supermen I’ve been breeding in the jungles of the Amazon will invade from the Atlantic seaboard,” or “while my volcano cannons bombard their Mediterranean coast, freezes rays will shine on Paris and bury it in ice.” Actions committed are tactical, the overall plan is the strategy, and neither briefcases nor pens could be considered as being strategic nor tactical. Your goal in a game of Chess is to capture the opponent’s King, the strategy involves how you plan to do it, and each piece you move is tactic. As a note, I’ve spent a lot of time thinking about conquering France using science fiction weapons. I’m also obsessed with the word “Carpenter” at the moment. A carpenter doesn’t “carpent” at work, yet the job indicates that they do. The word entered the English language via Old French (which in turn got it from Roman Latin) around the time that the Normans took over in England. It replaced the Germanic sounding “wright” for the trade, although there are a bunch of distinctions in the carpentry world describing what you would do at work (joiner, cooper, finisher etc.) that also indicate skill levels. An interesting bit of linguistics that I recently got turned on to involves the Normans, actually, and how when they set themselves up as the Old French speaking Lords of the Manor in England the English language began to change. Common people ate mutton (Germanic English) whereas the Normans ate lamb (Old French) for example. In essence, if you’re saying a word in English and the tongue is lifting and hitting the frontal roof of the mouth (lightning, for example) it comes from Old French, and if the tongue is on the bottom of the mouth and bunched up at the back (woodworker) its from the Germanic influenced pre conquest language. I can’t speak too intelligently about this subject, as I’ve just encountered the topic, but it’s a pretty interesting one. These are the sort of things one ponders (tactic) as I’m trying to stay warm (strategy) whilst wandering the streets of Queens in the January dark. It’s National Fruitcake Day, in these United States. 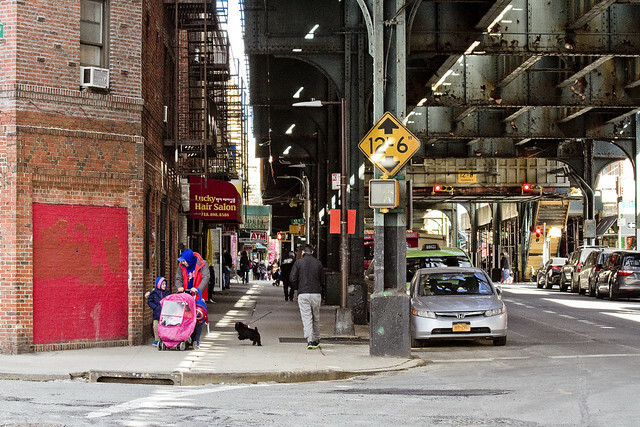 With one foot in Queens’s Flushing, and the other in Brooklyn’s Greenpoint, this NYC street endlessly fascinates. 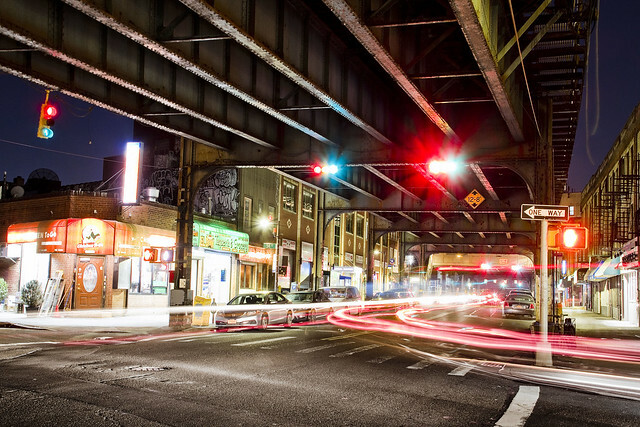 It’s called Roosevelt Avenue east of 48th street and Queens Blvd., and to the west it’s called Greenpoint Avenue. 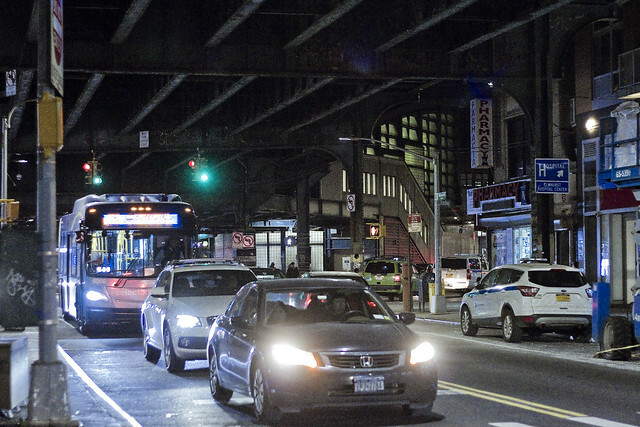 The elevated IRT Flushing line has been lurking above the street since 1917, meaning that the Roosevelt Avenue section has been shielded from the emanations of the burning thermonuclear eye of God itself for a century now. 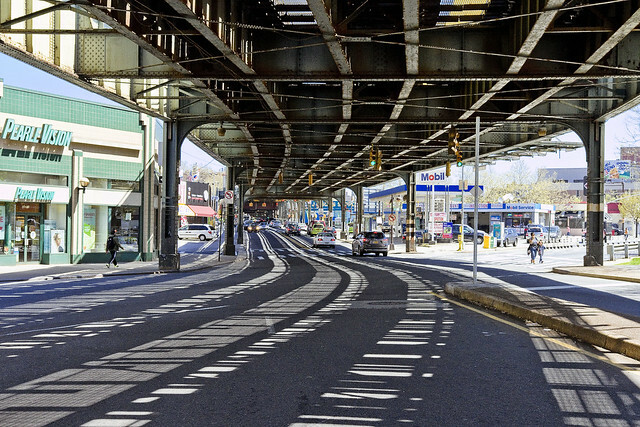 Funny thing is, as far as I’ve been able to discern, Roosevelt Avenue isn’t all that much older than the elevated tracks. Here’s a NY Times article from 1910 which discusses the great haste undertaken by the newly consolidated City of New York in creating the road. 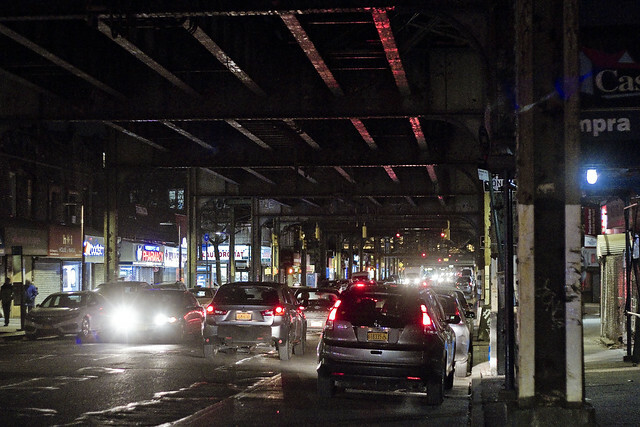 Back then – Roosevelt Avenue was considered a highway, apparently, and it was designed to parallel (and create a secondary path for Queensboro Bridge bound traffic) Jackson Avenue (Northern Blvd.) 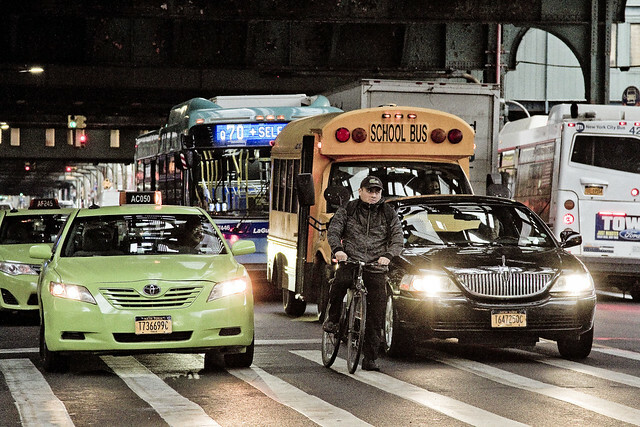 for its three mile route from Woodside to Flushing. The elevated subway along the street (to Corona, Flushing happened a bit later) opened in April of 1917, but it had only been proposed in 1911. This is one of the many reasons which should keep the managers of the MTA up at night, as a note, for the actual agreement to build the thing didn’t happen for another two years in 1913. Imagine the modern incarnation of the organization being able to get literally anything done, let alone monumental capital construction, in just four years. Them’s was giants in those days, I tells ya. 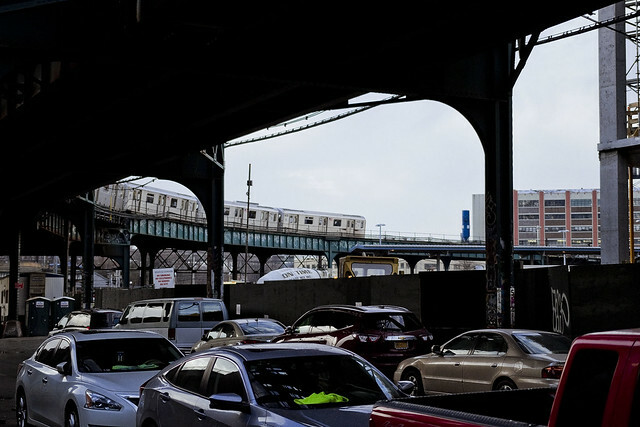 I’ve been led to believe that there are a significant number of “quality of life” issues suffered by the folks who frequent Roosevelt Avenue due to the presence of the elevated tracks. Bird droppings, toxic lead paint flaking from the steel, omnipresent heavy vehicle traffic, a suffocating amount of noise. 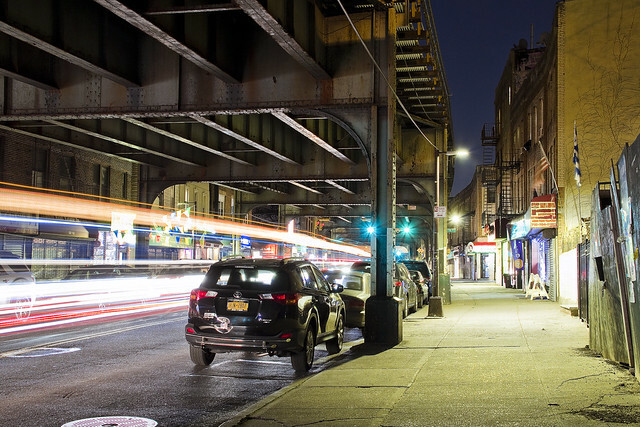 There’s meant to be a significant footprint of the underworld along Roosevelt Avenue as well, and Ive been told tales of all levels of prostitution (street to Madame run apartment Boudoirs), gangsters, and gambling dens. Funny thing is, all of these things don’t slow things down along the street one little bit. The shops are all occupied, and commercial businesses thrive, even on the third floors of walk up buildings. 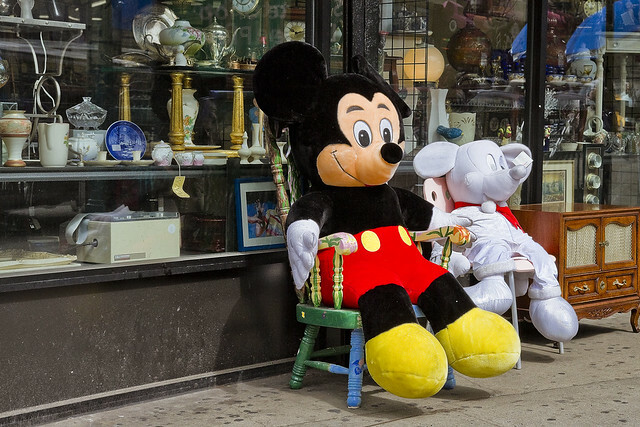 Compared to other commercial strips in Western Queens – Steinway Street in Astoria comes to mind – every kind of business seems to be booming along Roosevelt Avenue. It’s National Pecan Day, in these United States. 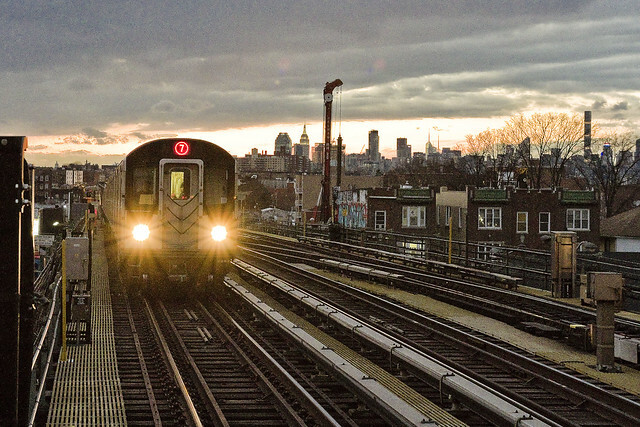 The glorious IRT Flushing Line, or 7 line, opened in a couple of stages here in Queens. 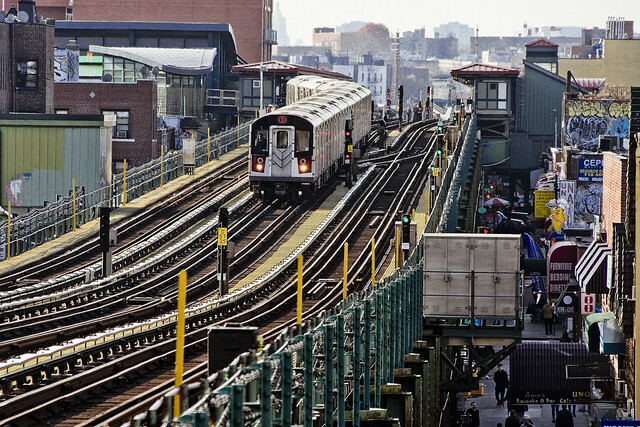 It wasn’t until 1928 that the line reached its modern terminal destination in Flushing, with the section in LIC between Manhattan and Queensboro Plaza having opened in 1915. The second section to open was the QB Plaza to 103rd st./Alburtis Avenue stop in Corona, and that happened on the 21st of April in 1917. That means that we have a centennial on our hands, lords and ladies, next Friday. Luckily, a humble narrator and his friends are not the sort of people to allow such important matters to go unacknowledged. 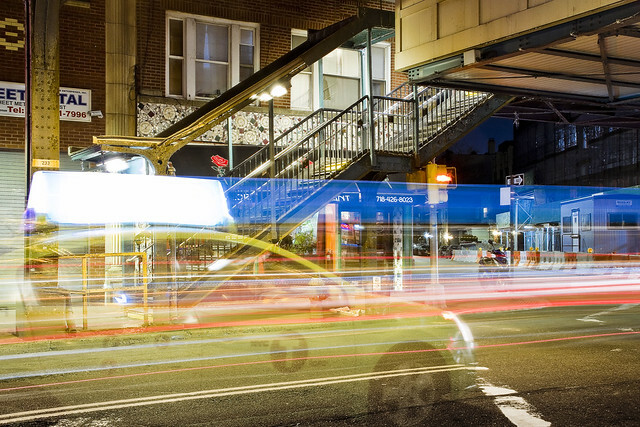 As you may or may not know, I’ve been hanging out and working with the folks at Access Queens of late, a community group dedicated to transit advocacy issues. Next Friday, we are going to be commemorating the opening of the line – and I’ll supply details of the event with you as soon as possible next week (everything is still forming up) – and I wanted to advise those of you inveterate fans of the NYC Subway system to start the process of getting the afternoon off on the 21st (next Friday) if you want to join us in celebrating the “international express” which, in many ways, built modern day Queens. There’s going to be some pretty cool stuff going on, I tell you. 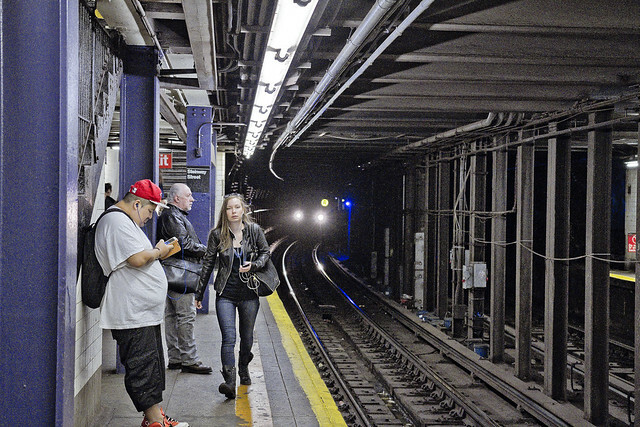 The plan, as it stands right now, involves the replication of a journey which the “hoi polloi” and politicians made a century ago, boarding the IRT Flushing Line at Grand Central at 2 in the afternoon. We are going to ride the line through the eleven stops after Queensboro Plaza to 103/Alburtis and then commemorate “our train.” Come with? 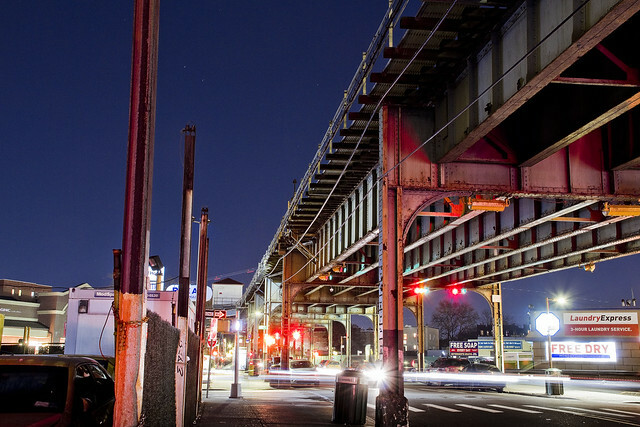 The history of Queens is often unacknowledged, ignored, or forgotten entirely. Not on my watch, however. First Calvary Cemetery walking tour, May 6th. With Atlas Obscura’s Obscura Day 2017, Calvary Cemetery Walking Tour – details and tix here. MAS Janeswalk free walking tour, May 7th. Visit the new Newtown Creek Alliance/Broadway Stages green roof, and the NCA North Henry Street Project – details and tix here. It’s Sepandārmazgān, or “Women’s Day,” in Zoroastrian Iran. 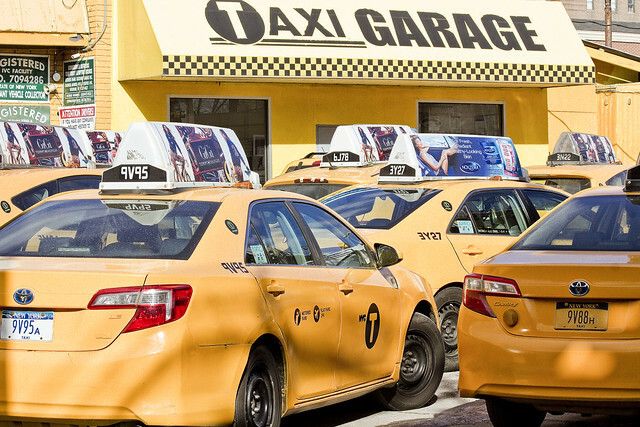 A shot of a Taxi Garage on Roosevelt Avenue today, but only a single one – as I still haven’t dug myself out of a hole which I currently find myself in. FYI, a humble narrator is involved in that most harrowing of all projects which an artist of any stripe can venture into – the creation of a portfolio to showcase past work and procure future employment. This is a vast endeavor, ripe with psychological recrimination and personal ennui. It’s also “all consuming,” but I should be done with the meat of it by the end of this week at which point postings of a more substantial sort will be coming your way.